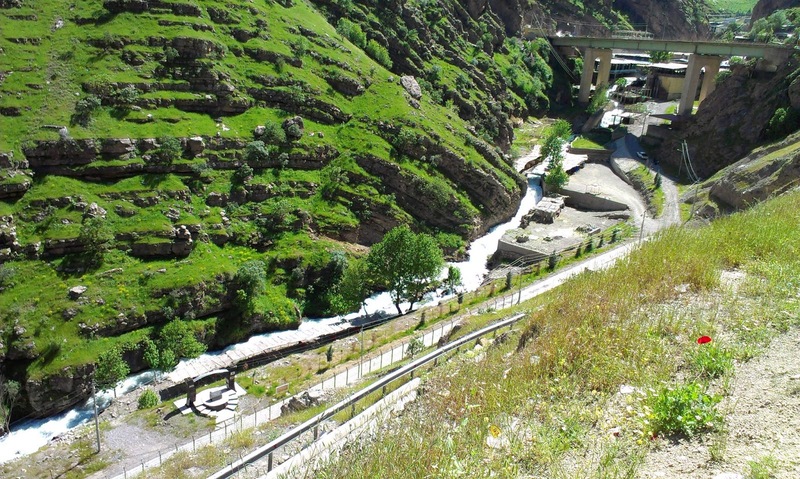 The American has moved with her husband for a year to Duhok. Their move caused unrest amongst friends and family, who think ‘Iraq, that is where the bombs explode’. There is a lot of misconceptions about Iraqi Kurdistan around. The first is, that as the rest of Iraq, it is not safe. Foreigners can be targeted and kidnapped. This American lady was told she would be too recognizable as a foreigner if she kept her own hair color. This is even a triple misconception. Although Kurdistan is not completely free of attacks, foreigners are safe enough. Kidnapping them is unheard of, and the society would not accept it. The Kurds have a liking for Westerners. Happy that they are here, and can tell the world how much fun that is. Perhaps for that reason foreigners will be recognized, if only by the way they move, eat, talk. A change of hair color will not make much difference. Up to a couple of years ago my blond hair would attract a lot of eyes on the street, but that was partly because there were so few Westerners about then. Now there are expats from all over the world living in Kurdistan. Complaining about the same things people complain about everywhere: weather, behaviour of others, bad drivers, harassment. Most of the West has woken up to the realities of Kurdistan. But the Americans have not yet opened their eyes for it. Even though the Kurds have for long considered the Americans as their best friends, their companies are cautious about coming over to do business. For the sake of the safety, and because of the misconceptions. But they are catching on. Pizza Hut opened, so Kentucky Fried Chicken and McDonald’s might get the message too. 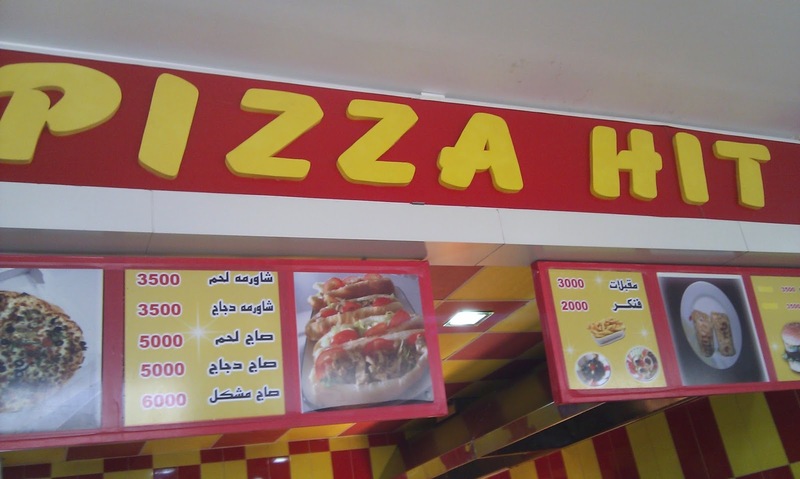 The Kurds love American products, the American Consul General told me. I did not want to contradict him, but I think the Kurds are happy to be open up to the world after many years of isolation. It’s not just about America. Opening up also brings bad influences. The expat community was shocked when a couple of Kurds, posing as members of assaish, raided an office and molested the staff member present. And there are stories now about stolen passports, phones and money. Kurdistan has always been one of the safest places on earth, with taxi drivers returning thousands of dollars that were left by passengers. Let’s work hard to keep those bad influences out. If only to convince others how special Kurdistan is. “They start hooting two seconds before the light turns green”, I predict to my visitor from Europe. “Never”, she says, and keeps her eye on the traffic light at the busy crossing in the center of Erbil. Even when a traffic light does not have a timer, the drivers around you know when the light will become green, and blow their horn. I almost admire them for the knowledge; how do they know? When you live in Kurdistan, you get used to all this hooting, and start using the horn yourself too. But that’s because you know drivers do not use their mirrors. He’s moving, where is he going, does he see me? Hoot! But never in front of the traffic light. We’re all waiting, aren’t we? When I get back to Amsterdam, the silence usually hits me. What? People do not use their horn! Because they are asked not to, as it is considered a very disturbing noise. And also because they only have to do so in case of an emergency. Silence is treasured. Many people complain about music in the shopping malls, and planes cannot depart or land at night because their noise would keep too many people out of their sleep. In Kurdistan, police and ambulances drive around with their emergency horns blaring. Nobody moves for them, because everybody is used to the noise. As they use it constantly, nobody knows anymore when it is an emergency and they should make way to help save lives. 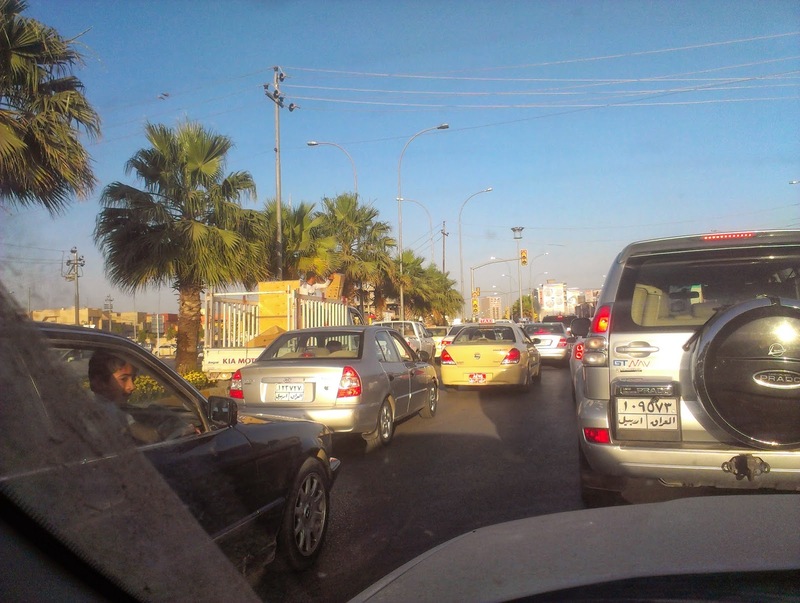 The hooting is particularly bad in Erbil; drivers in Sulaymaniya seem less impatient at the traffic lights. Yet it seems part of the fact that Kurdistan is a noisy place, and everybody is used to that. People speak loudly, and argue even more loudly. Televisions are on, even when nobody is watching. Cars drive around with the music blaring out of open windows, or even with the sound of the bass penetrating closed ones. Why the noise, I often wonder. Perhaps it became a habit in the years of suppression when only those who raise their voice were heard? Or is it that people are so happy that they are free, they want to celebrate it without caring about those around them? Or are Kurds too used to being in the open, where all sound is eaten by the enormity of mountains and hills? Whatever the reason, for westerners the noisy environment needs some getting used to. We associate loud voices usually with quarrels, and we jump when someone blows his horn at us. Please understand us; we cherish the silence. 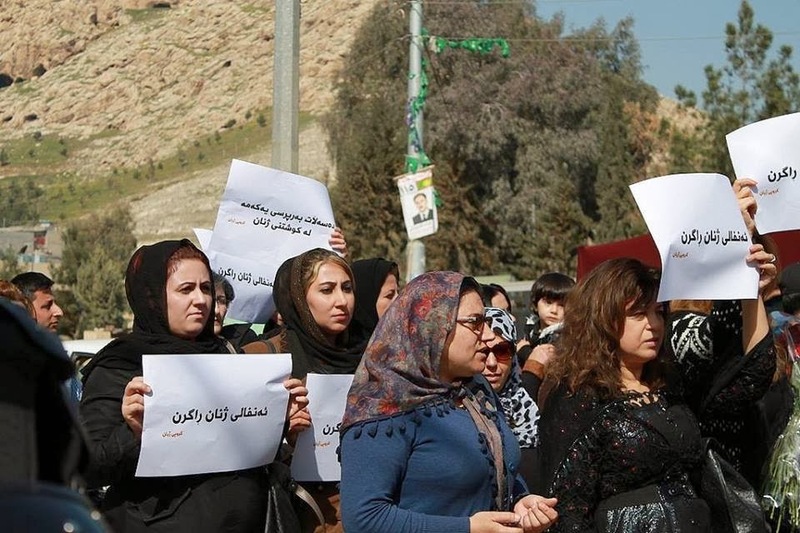 Three cases of honour killings in a week: the attack on Kurdish women does not stop. 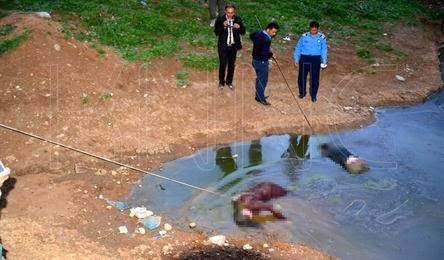 The picture of the two girls from Seid Sadeq drowned in a dirty pool has showed it beyond doubt. Where does this violence against women come from? Choman Hardi, who did research into the effects of Anfal on women’s lives, poses that question in a beautiful poem. Might this be the heritage of violence? and fail to be shocked? It shocked me too, that the outcry about Seid Sadeq was more about the way the police pulled the girls out of the pool, than about the killing itself. How is it possible that fathers kill their own flesh and blood, the product of their loins? How can it be that honour is more important than the bond between child and parent? Westerners cannot understand this at all. Of course it does happen too in the West, involving fathers who have psychological problems, or who cannot look after their family anymore, or who cannot live on after a divorce - but a father killing his off spring still is a rare feature. And a shocking one. Domestic violence happens all over the world. Men beating up their wives, fathers hitting daughters. It is always filled with shame. But family members killing one of their own, that must be one of the most shocking things on earth. Why? Because men and women live on through their children. They are their heritage, as they carry their DNA and their name. If you kill that, you kill your own future. It is against our instincts. Which animal kills his own off spring? In many societies, children are the insurance for the old age. When parents get old, they go and live with them and get looked after in turn. Without, you will have a lonely old age. The Kurdish authorities have said they made the fight against domestic violence a priority; yet the honour killings do not decrease. Perhaps we first need to understand where this unstoppable urge to kill daughters comes from. Where the feelings of guilt got lost, and the mercy. Is it in the trauma’s inflicted by suppression, Anfal, or the revolution? Post-traumatic stress syndrome is illness number 1 in Iraq. Many people do not realize they are affected, and most cases are not treated – leading to anger, frustration, pain and domestic violence. And domestic violence will run in the family: if you are victim of it, you tend to follow the example later in life too. This problem has to be recognized. Being treated for it should no longer be seen as shameful. Because if nothing is done, the future looks bleak for Kurdish women.